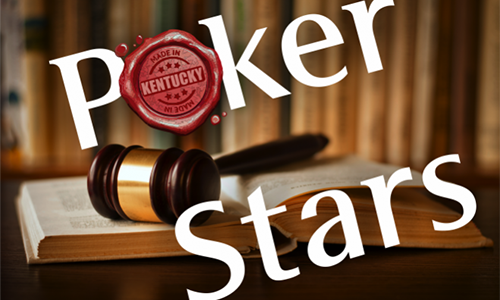 Additional details in the Commonwealth of Kentucky case against online-poker giant PokerStars, in which the state was granted a giant $290 million partial summary judgment against two Stars corporate entities last month, are now available. The long-running case, first brought by state officials and a Kentucky-based law firm in 2010, now appears poised for a years-long appellate battle. Current PokerStars owner Amaya Gaming has pledged to continue its legal protest of the preliminary order issued on November 20th by Franklin County Circuit Court Judge Thomas D. Wingate. Amaya and its Stars-controlling ownership entity, Amaya Group Holdings, weren’t even involved as defendants in the initial 2010 lawsuit. However, they became legally ensnared following the company’s acquisition of PokerStars in the summer of 2014. Amaya’s final liability in the case, should the Kentucky decision be upheld, is also indeterminate. To date, Amaya has offered no statement as to whether its acquisition of the PokerStars family of entities includes firm “clawback” provisions regarding ongoing legal actions against the PokerStars’ or its former owners, even though a brief presser issued yesterday mentioned the likelihood of such an action should Amaya face confirmed legal liability. FlushDraw has followed the developing story extensively, including the public revelation of the judgment earlier this week via various Kentucky court reports. Yesterday, following the obtainment of Judge Wingate’s November judgment order, we provided a thorough timeline and summary of the case’s important developments, as paraphrased and summarized from Judge Wingate’s own summary of the case history. Among those events was the probable trigger for issuing by Judge Wingate of the partial summary judgment: The failure of all the PokerStars-related defendants to provide two of the company’s founders, Mark Scheinberg and Pinhas Schapira, for deposition. Scheinberg’s purported determination to not be deposed in the case not only included an unlikely trip to Kentucky (Mark Scheinberg previously paid a $50 million settlement to the US Department of Justice to resolve an ongoing federal-level investigation. Scheinberg’s father, Isai, remains under a federal US indictment order, and would have been arrested upon landing in the US). Even a “safe harbor” remote deposition planned for June 3rd in London failed to occur. Among the purported, blatant delaying tactics employed by Rational Entertainment and Oldford Group lawyers were such hilarities as PokerStars and its parent companies supposedly having a right to not testify in the case under the language of the Fifth Amendment to the US Constitution, an important civil-right tenet of US law that prevents individuals from having to testify against themselves. Among the other factors likely relevant to the defendants’ future appeal prospects are Wingate’s clear annoyance and petulancy over the case’s year-long removal to a US District Court, on grounds that the Kentucky court did not have jurisdiction. That halted the case for nearly a year, from April 12, 2014 to March 31, 2015, when the federal court ruled the removal invalid and returned the matter to Wingate’s court. That April 14th case removal came on the same day that other court-ordered material was due, this time from Pyr Software, another Stars entity. The removal also shut down earlier deposition orders regarding Scheinberg and Schapira with an original April 30th, 2014 deadline. In the meantime, while the case languised on a federal court docket, the whole Stars operation was sold to Amaya. And — perhaps because Amaya itself is located in the same Canadian city of Toronto as Pyr — Judge Wingate may have come to believe that somehow Amaya was working in cohorts with the old Stars ownership to prevent data from being forwarded or former company execs from being deposed. That Judge Wingate was clearly annoyed by what he viewed as systematic and deliberate blocking tactics by Oldford and REEL can’t be understated, as he references that temporary case removal several times in his opinion and order. One of the toughest hurdles that Amaya will face in its expected appellate battles will be the claims, first made by the original PokerStars ownership, that the Commonwealth of Kentucky did not have proper legal standing or grounds to pursue the case. There are several different elements to these claims of jurisdiction (by Kentucky), or lack thereof (by PokerStars and Amaya). Those also include the intended meanings of the antiquated statutes used to bring the lawsuit. The actual figure is unlikely to be hundreds of millions of dollars, not that that stopped Wingate from memorializing the rhetoric. As the temporary summary judgment states, the amount of the judgment rendered is tentatively set at just over $290 million, which could then be trebled under the statute used in the case. Neither side is happy with that number. Kentucky actually wants about $535 million, which could be then trebled to nearly $1.608 billion, while Amaya asserts that Wingate’s calculation method is invalid. Amaya suggests a $20 million figure that’s more in line with PokerStars’ reported revenue from the state during that period, about $18 million. We’ll return to this Kentucky legal battle with yet another feature next week, in which we look inside these numbers to see how they were computed, what legal precedents exist, and what Amaya’s and PokerStars’ chances are of having the adjudicated damages reduced in the matter.